Can I use my own funds to charge my card? Only your employer can charge your card. How do I find the balance on my Ticket Restaurant® card? You can find the balance in your online account or in the TicketCard by Edenred mobile app. The app also includes the Establishment search engine, which can help you find establishments that accept these cards. You can download the app for free on Google Play and Apple Store. Where will I find the PIN to my Edenred Benefits card? You will receive the PIN to your card during the activation of your card at edenred.cz, or via telephone at 840 111 320. You can then view your PIN in the My cards section in your online card account. You will find your PIN when you sign in to your account at www.edenred.com. You just need to have your card with you. You can also comfortably find your PIN code with your mobile phone, as our site is fully responsive. We will notify employers of the upcoming expiration of cards via email with a list of all the cards that need to be renewed, along with information on how to proceed. We automatically transfer funds from your expired card to your new card, and you will also be able to keep your PIN. Can I use the Edenred Benefits / Ticket Restaurant right away as soon as I receive it? Before you pay with your new card, you must activate it. You activate the card in your online card account. If you don't have an account yet, you must sign up. Activate your card in the “My cards” section. What if I lose my card, when will you issue a new one? How long does it take to issue a new card? If you lose your card, you will receive another one. From the date of approval and payment, it takes 10 days for the card to be made and sent to your address. When I exchange credit for paper meal vouchers, can I pick the vouchers up personally? We send the vouchers to the contact address listed in your order. It is not possible to pick them up personally. Can I only pay for part of my purchase with my meal card? It depends on the cashier system of the store. Some systems can divide a purchase into parts, others cannot. You can ask the cashier in advance whether you can pay for your purchase using multiple methods, or split the purchase before exceeding the limit into two parts. You can view your PIN in your online card account at www.edenred.com - all you need is your card. Can I pay more than 500 CZK with my Ticket Restaurant card? The card is intended for afternoon meals near your workplace - i.e. in a restaurant, cafeteria or canteen. Since the average cost of lunches in the Czech Republic is just over 115 CZK now, this limit is entirely sufficient. This limit cannot be changed. Where can I find the PIN code to my Ticket Restaurant Card? You can view your PIN in your online card account at www.edenred.com - all you need your card. Can I increase the daily limit on a Ticket Restaurant card? The limit settings are fixed and they cannot be changed. Is the credit on the card insured? If not, is it possible to insure it? Edenred is liable for the funds on the card from the moment it is blocked. These funds remain on the account for which a new card is issued. Edenred is not liable for funds and transactions executed on the account before the card is blocked. The funds on the card cannot be insured. How do I change my PIN code to a Ticket Restaurant or EdenredBenefits card? How do I recharge the Edenred Benefits Card or Ticket Restaurant? Both cards are a benefit from your employer, so only your employer can charge them. How can I give a tip with the card? You can give a tip just like with a regular credit card. It depends on the specific payment terminal. How long is credit on the Edenred Benefits card valid for? The validity of credit on a personalized card is 2 years from the date on which it was charged. For anonymous cards, the validity is 12 months from the date on which they were charged. What are Apple Pay and contactless payment limits? Payments limits are same as with Edenred Benefits Card and Ticket Restaurant. For Ticket Restaurant is the limit 500 CZK/day. For Edenred Benefit is limit 20 000 CZK/year in category Holiday. Where can I change the PIN to my Edenred Benefits card? How do I pay with my phone? Do you know how to tap your phone on a payment terminal? Then you know how to pay with a Google Pay mobile card. The device must be active (no black screen); from time to time, your phone will ask you to unlock the screen. And the best part - you don't pay any extra! Google Pay is completely free of charge. I have mobile payment with my bank - what should I do? If your bank uses Google Pay you'll know it, because when you download Google Pay to your device you'll see your credit card. Google Pay always uses the card that is first (on top) for payments. To change the order, simply drag the card to the desired position. If the bank uses a different technology, you need to choose the application in your phone settings to specify which one will be used for the payment. For how long is the credit on the Ticket Restaurant card valid? The validity period is the same as for paper vouchers. Credit charged from January 1 till September 30 is always valid till the end of the same year . Credit charged from October 1 till December 31 is valid till the end of the following year. During card transactions, the oldest funds on your account are automatically withdrawn. What are the compatible devices for paying lunch or recreational benefits with Apple Pay? Edenred payments can be done with iPhone and Apple Watch. Apple Pay is available on following devices: iPhone Xs & Xs Plus, Xr, iPhone X, iPhone 8 & 8 Plus, iPhone 7 & 7 Plus, iPhone 6s & 6s Plus, iPhone 6 & 6 Plus, iPhone SE, iPad Pro, iPad Air 2, iPad mini 3 & iPad mini 4, Apple Watch, MacBook Pro with Touch ID. How can I know the payment was successful? A green "check" means the transaction was successful. Additionally, if you have the TicketCard by Edenred application, you will instantly receive a push notification on your phone stating when and where you just paid. You can also view the last 10 transactions with your mobile card in Google Pay. Where can I have lunch with my meal card? Where can I find a list of restaurants? You can use the card to pay for lunches in restaurants, canteens or other catering facilities. You can find parter establishments in the search engine or the TicketCard by Edenred mobile app. All places where you can pay with a paper meal voucher or a Ticket Restaurant® meal card are marked with our sticker. What should I do if I do not have a sufficient balance on my card to make a payment? If there is not enough credit on the card to make a payment, it depends on the particular establishment or salesperson how they will deal with the situation after coming to an agreement with the customer. There are two options: You can either pay the full amount in cash, or you can pay part by card (using the rest of the balance and paying the rest in cash). What if I lose my Ticket Restaurant/Edenred Benefits card or it is stolen? If you lose your card, you must first block it to avoid abuse - you can do this after signing in to your account at www.edenred.com and reporting this to your employer, who will order a new card for you. We'll automatically transfer all your funds from your old card, and you can even keep your PIN code. The card will be delivered to the address listed by your employer in the order approximately within ten days. Addition to Edenred’s card, can I add other cards to Apple Pay? Yes, Wallet application can have 8 different cards. Additionally, Edenred Benefits Card or Ticket Restaurant can be added to four different devices e.g. two iPhones and two Apple Watches if card owner has that many devices. For how long is the Edenred Benefits card and credit on the card valid? The card is valid for 3 years, and its expiry date is shown on the front of the card. The credit on the card is valid for 2 years from its charging. What happens to credit on a card if an employee leaves the company? Is it possible to access it? Can the balance on the card be exchanged for cash or transferred to an employee's account, or can an employee exchange it for paper meal vouchers? The funds on the card belong to the employee as if they were paper vouchers. As the employer, please let us know about the employee's departure (name, surname, card number). Once the application has been sent, the card remains valid, but you will not be required to pay for it. However, the card can no longer be charged. The credit shall expire on its original expiration date, or on the expiration date of the card itself. Once the card expires, it is no longer possible to issue a new card or to use the funds on the account. And what about a PIN code? You don't need one - for payments over 500 CZK, you confirm the payment by unlocking of your phone. I already have another payment card registered in Apple Pay, can I still add my Edenred Benefits Card or Ticket Restaurant? Yes, you can have several payment cards in Apple Pay. You have the opportunity to define one card by default. You can also choose another card before transaction, if you have multiple cards registered to Apple Pay. What is the Edenred Benefits card? The EdenredBenefits card is a modern electronic form of leisure time benefits. The card is issued in your name and secured with a PIN code. You can use the card to pay for a wide range of leisure activities through standard Mastercard payment terminals in selected establishments that are part of our partner network. You can find these places using the Establishment search engine. You can also pay with the card online in selected partner eshops. The network is the same as for the Edenred Benefits Card and Ticket Restaurant. You can use Apple Pay at all the locations belonging to Edenred merchant network, which are equipped with a contactless terminal reader (NFC). What if my Ticket Restaurant or Edenred Benefits card doesn't work and I can't pay? Payment errors may occur due to the business's replacement of their payment terminal, incorrect use of the card or mechanical damage. We recommend downloading the TicketCard by Edenred app and turning on automatic notifications. If your payment is declined, you will receive an automatic message with the reason for the rejection of the transaction. If you're having trouble, contact our customer department. For how long are the Ticket Restaurant meal card and the credit on the card valid? The Ticket Restaurant card is valid for 3 years. Credit charged from January 1 till September 30 is always valid till the end of the same year . Credit charged from October 1 till December 31 is valid till the end of the following year. During card transactions, the oldest funds in your account are automatically withdrawn. The card can be repeatedly charged. Where can I pay with the Edenred Benefits card? You can find a list of partner establishments that accept the Edenred Benefits Card in the Establishment search engine. Select EdenredBenefitsCard in the payment options and click "Edit results". You can also customize your search by entering an address or keyword (e.g., fitness, education), or selecting a category. Another option is the TicketCard by Edenred mobile app, which you can download for free for Android and iOS systems. This enables you to have the restaurant search engine with geolocation with you at all times. Where can I pay with the Ticket Restaurant meal ticket? You can find a list of partner establishments that accept the Ticket Restaurant Card in the Establishment search engine in your portal. Select Ticket Restaurant Card in the payment options and click the "Edit results" button. You can also customize your search by entering an address or keyword. Another option is the TicketCard by Edenred mobile app, which you can download for Android, iOS and Windows Phone for free. This enables you to have the restaurant search engine with geolocation with you at all times. Can I use my meal card as soon as I receive it? Before you pay with your new Ticket Restaurant meal card, you must activate and charge it. You activate the card in your online card account. If you don't have an account yet, you must sign up. Activate your card in the My cards section. You can charge the credit on your card in your portal in the Charge card section. How to utilize Apple Pay and does it cost something? Apple Pay is available free of charge and without subscription for all the users of the Ticket Restaurant Card or Edenred Benefits Card.. To use it, you need to be equipped with a compatible device and to have registered your card on the “Wallet” app of your iPhone, in the settings of your iPad or on the “Watch” app of your Apple Watch (see compatible devices in the previous question). Which Edenred cards can be added and used with Apple Pay? You can add and use Edenred Benefits Card and Ticket Restaurant Card with Apple Pay. Apple Pay allows you to use your iPhone, your Apple Watch or your iPad as a payment instrument to pay your lunch or free-time activies according the same rules as your Ticket Restaurant Card or Edenred Benefits Card. How can I register Edenred Benefits Card or Ticket Restaurant in Apple Pay with my Apple Watch? Once your card is registered on the Wallet app of your iPhone, have your Apple Watch ready and unlock it. Then open the “Watch” app on your Apple Watch and select “Wallet and Apple Pay”. Click on display “Add” next to the Edenred Benefits Card or Ticket Restaurant. Enter the cryptogram (3 number safety code) shown on the back of the card and click on “Next”. Read and validate the Terms and Conditions. After this step, you have the choice to receive an email at the address of your MujEdenred at edenred.cz account including a verification code to enter or to call our customer care. Do I need a PIN/locking code to pay with Apple Pay? To pay with Apple Pay, we recommend to use the Touch ID or Face ID feature that guarantees a high level of security. In case this feature does not work, you can enter your PIN/locking code on your iPhone. Are the rules for using lunch benefit or free-time benefits the same for Apple Pay and for the Ticket Restaurant Card or Edenred Benefits Card? With Apple Pay, your mobile is an additional instrument that allows you to use your lunch and free-time benefits. The legislation is still the same regardless for paying with Ticket Restaurant Card or Edenred Benefits Card registered to Apple Pay or for paying with a plastic card. How to track my transactions with Apple Pay? The transactions done with Apple Pay are available on Wallet transaction section, your mobile aplication Ticket Card by Edenred or in your personal account MujEdenred od edenred.cz, in the same way as the transactions you have done with your Edenred Benefits Card or Ticket Restaurant Card. Go to www.icloud.com to use the “Find my iPhone” feature that allows you to delete all your card registered on Apple Pay. From then, your iPhone, iPad, Apple Watch or MacBook Pro will not be able to be used as a payment instrument. Who should I contact in case of issue? Device: for any issue related to your Apple device, the Wallet or iCloud, please contact Apple. Card: for any issue related to the registration of your Edenred Benefits Card and Ticket Restaurant or the Apple Pay transactions, please contact our customer care Monday to Friday 8:00am – 5.00pm at +420 840 111 317 for Ticket Restaurant Card and +420 840 111 320 for Edenred Benefits Card. How can I register my card in Apple Pay with my iPhone? Open the “Wallet” app, click “Add a card” then choose “Next” and enter manually the 16 numbers of your card, your name, the expiry date (month/year) of the card and the cryptogram (3 number safety code) shown on the back of the card. Read and validate the Terms & Conditions. 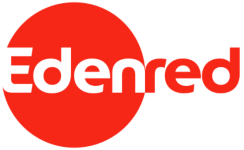 After this step, you have the choice to receive a verification code by email to the address provided at edenred.cz service or by calling to customer service.